You are not logged in. [Log In] Capitol Hill Blue » Forums » Political Issues » Finance, the economy & Economics » Disneyland Park to Sell Liquor — Thanks to Star Wars! #308246 - 09/01/18 12:13 AM Disneyland Park to Sell Liquor — Thanks to Star Wars! Disneyland Park to Sell Liquor for the First Time in Its 63-Year History — Thanks to Star Wars! Adults will finally get to enjoy an alcoholic beverage at the happiest place on earth. For the first time in its 63-year history, Disneyland Park in Anaheim, California, announced its public liquor sales, years after its exclusive private Club 33 and adjacent California Adventure park have been selling libations. 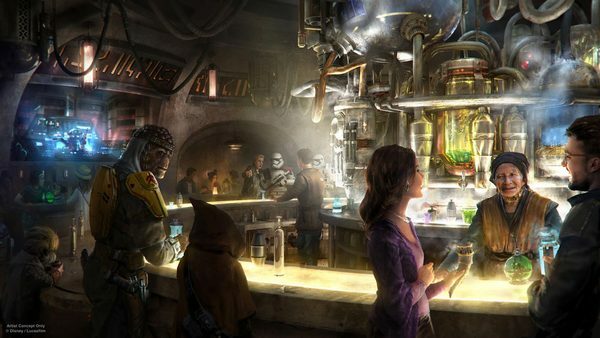 When the new Star Wars: Galaxy’s Edge attraction opens next year, its Oga’s Cantina will offer beer, wine and outer space theme cocktails. Cool! Now kids can enjoy the rides while mom and dad go get snozzled! Then they can all take an Uber back to their hotel, because they're too drunk to drive.